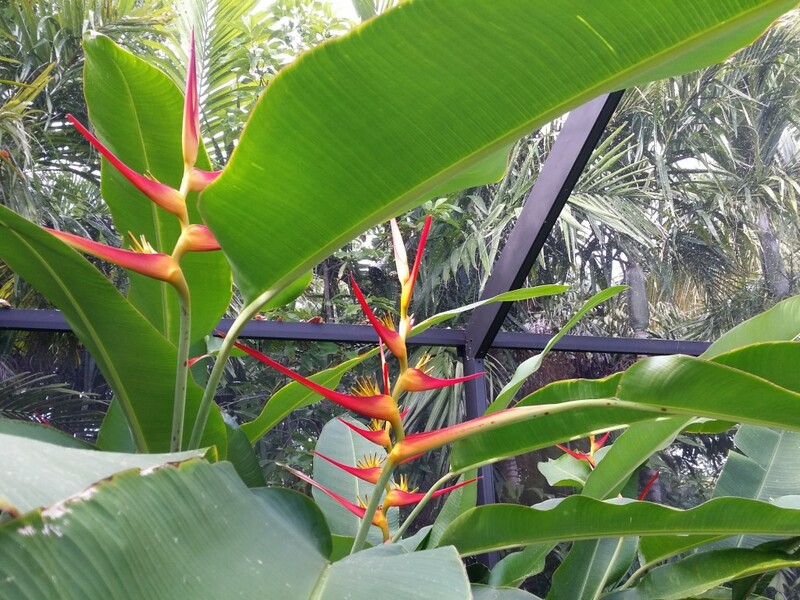 All this tropical heat is bringing out the blooms- Heliconias, Gingers, Hibiscus and more are all starting to put off flowers. Check out Heliconia latispatha ‘Red Yellow Gyro” blooming in my garden- this Heliconia is tough and easy to grow in Central Florida. 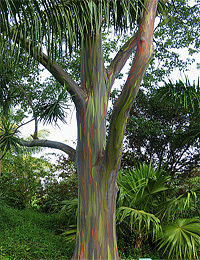 It can bloom year round and grows to a max height of approx 7 feet. 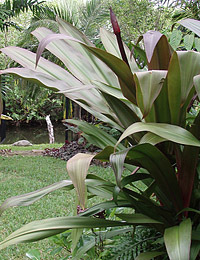 The blooms appear at the top of the plant where they are highly visible from all sides. What’s more, the stalks have a nice red splatter pattern on them. These make excellent cut flowers for tropical arrangements. 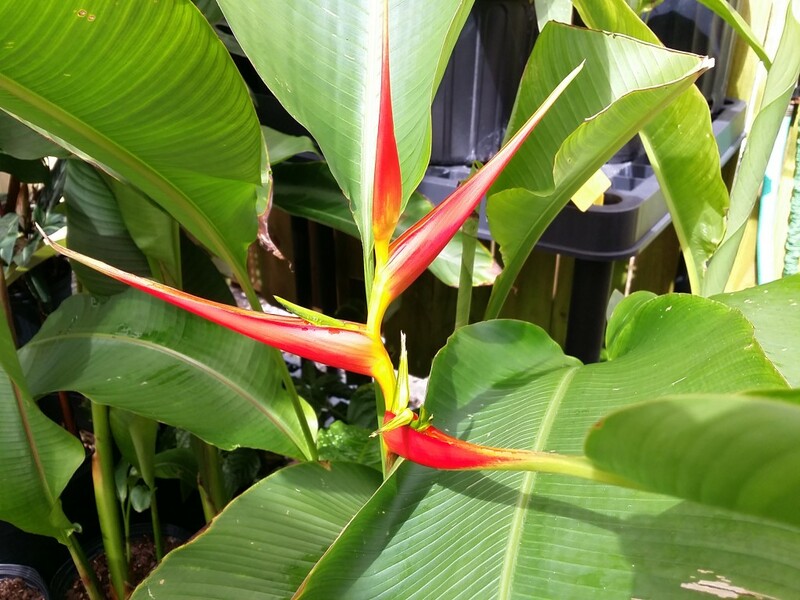 We now have Heliconia latispatha ‘Red Yellow Gyro’ in stock in 10″ pots- ready to be planted in your garden! If you like the bloom of ‘Red Yellow Gyro’ but need something shorter- there is a dwarf variety! It’s called Heliconia latispatha ‘Distans’ – the flower looks very similar but at about 1/2 scale. 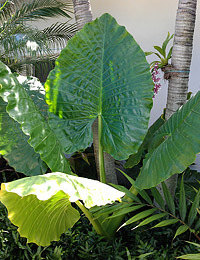 The plant gets to a maximum height of 4.5 feet. 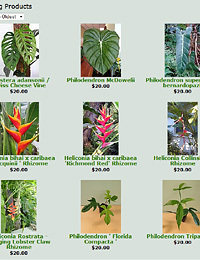 We currently have a limited quantity of Heliconia latispatha ‘Distans’ in stock now. Another good bloomer currently going off at the nursery is Costus woodsonii ‘Red Button Ginger’ This ginger can stay quite short if given alot of sun (approx 2 feet in full sun) or in a partial sun it will bloom at approx 3-4 feet. It is very hardy and easy to grow- you can also EAT the flowers- they are crunchy and taste like a tart cherry- my kids love them! 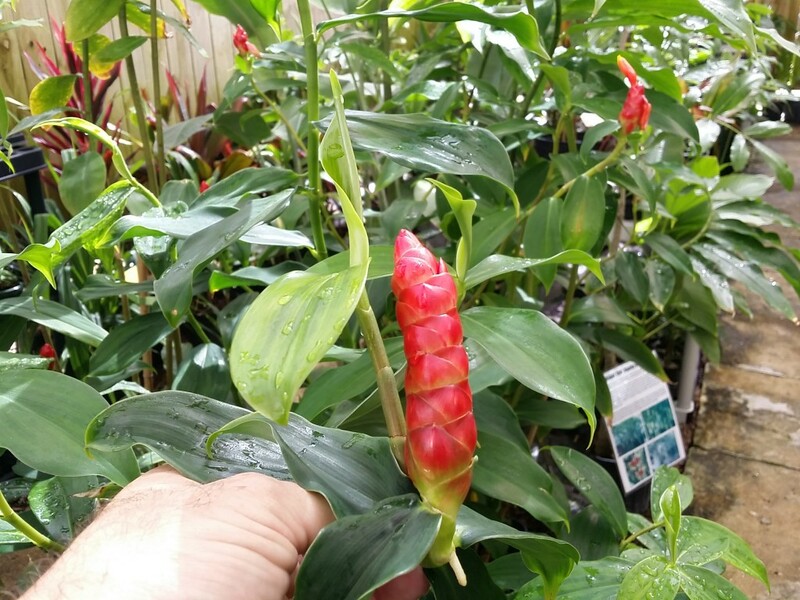 We currently have Red Button Ginger, as well as a variety of other rare gingers in stock and blooming. 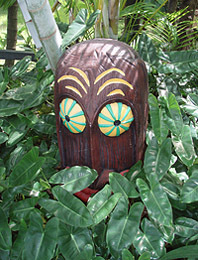 Stop in and check out the jungle!